This was originally a guest post that I posted over at Kate Horrell‘s Military.com Paycheck Chronicles site. I'm re-posting it here to get maximum exposure on why I am signing up for the new military Blended Retirement System (BRS). Run the numbers for yourself but here's how I am thinking through my choice. 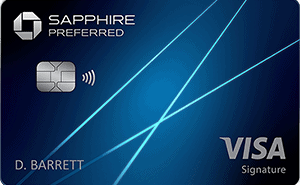 Here's how to opt into the BRS on myPay. The Department of Defense is revamping the military retirement system for the first time in decades. Starting January 1, 2018, all new enlistees will automatically enroll in the new system, which features matching TSP contributions up to 5%, continuation pay bonuses for between 8-12 years of service, and an immediate pension after 20 years of service. For more details see my detailed summary of the new military retirement system. 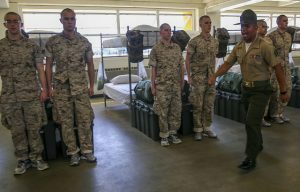 For anyone who joined the military on or after January 1, 2006, you will be faced with a choice: opt in to the new system or stay with the old system. If you make no choice, the current plan is to default you to the old system. I choose to opt into the new retirement system. I will be a captain (O-3) with 8 years of service in May 2018. After running the numbers, I’ve decided that having at least some retirement benefits if I get out before 20 years is worth the chance of a 20% decreased pension payment, if I make it to 20 years. On average, only one of these recruits will make it to 20 years. Anyone with less than 10 years of service in 2018 should also opt into the new system. Even if you think you’re going to make the military a 20 year career, you don’t know what the future will hold. The statistics show that you won’t make 20 years (see chart below). Only 17-20% of the military serves long enough to receive any kind of retirement benefit. The number is higher for Air Force officers like myself and lower for enlisted Marines. Whether it’s the up or out promotion system or leaving due to family, personal, or professional reasons, there are many reasons why most personnel do not make it to 20 years. In the current system, you or I could serve for 16 years, not promote to major or lieutenant colonel, get passed over for continuation, and get forced out. The Air Force cut 19,833 personnel in Fiscal Year 2014. Of those, over 6,000 officers and enlisted were involuntarily cut through reduction-in-force boards, or RIFs. These airman received no pension and no health insurance. Sixteen years of service and nothing to show for it other than what you saved and invested. Under the new system you would at least have your TSP account with all the matching that had gone into it, plus the continuation pay bonus paid at the 12 year mark. The BRS provides increased flexibility and freedom for the servicemember. Rather than gutting it out for 20 years just to receive any sort of benefit, you can take your TSP matching with you when you leave. The beloved “check of the month club” military pension is still there in the new system! While the benefit is reduced to 2% from 2.5% x years of service (40% of base pay at 20 years rather than 50% under the old system), the pension is still inflation protected, begins paying immediately upon retirement, and includes access to TriCare health coverage. For a 20 year O-5 retiring in 2016, the difference between 40% and 50% is $39,898 vs. $49,872. $10,000 a year is not a small difference and over a 40 or 50 year retirement that gap will continue to grow. However, $40,000/year is a significant amount of money. Many early retirees live on far less (see Mr. Money Mustache). If you make minimal contributions to your TSP (5%) over your years of service and received the DoD TSP match, you should be in a good financial position, depending on your expenses and lifestyle. Here’s 3 examples of my personal situation. I ran the numbers for a 0% return, 5% return, and 7% return in the TSP. To get returns like this, you’ll need to move your money out of the G Fund and into a more diversified asset allocation, with at least 60% or more of your assets in the C, S, or I fund. At least move your money into the latest Lifecycle Fund while you figure out what kind of asset allocation you need. In 2018 I will be an 8 year Air Force captain (O-3). In these examples I assumed I serve 20 years and contribute 5% of my pay into the TSP. All figures are in real 2016 dollars, we’ll ignore inflation for this exercise. Under the old system, my annual retirement income would be $49,872 at 50%. Under the new system, my annual retired income would be $39,898 at 40%. 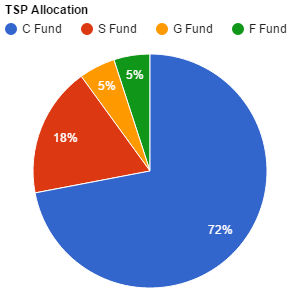 I give the value of the TSP at age 60 assuming I’ve made no contribution until 2018. Age 59.5 is when you can begin accessing your TSP penalty free but I used age 60 to make the math easier. Old System: At age 60, I will have $55,532 in my TSP (just my contributions). If I live to 82, the total value of my retirement would be $2,050,412 (TSP account + annual retirement income x 40 years). New System: Age 60, with 5% DoD match, and investing the continuation pay bonus (2.5x monthly base pay, paid in year 12), I will have $127,926 in my TSP. If I live to 82, the total value of my retirement would be $1,723,830. In this scenario the old system wins by $300,000. However, I could very well die before 82 or leave the service before 20 years and then any pension is a moot point. I could also live well beyond 82 if Ray Kurzweil is correct. Living beyond 82 favors the old system. The new system is only short by about $150,000 in this scenario. Again, what’s $150,000 spread out over a lifetime? I think the increased flexibility the new system gives you today is worth giving up a potential $150,000 at some point in the distant future. Think a 7% rate of return is unrealistic? With dividends the S&P 500 has delivered an inflation adjusted average return of 8.5% since 1871. It’s tough to predict the future, but we can look to the past for patterns and trends. Here the old and new system are within a few hundred dollars of each other. Again, it’s almost a toss up on this point. While you do get the increased guaranteed pension, what did you have to sacrifice to get it? The old system only pays anything if you serve until the 20 year mark. If you were just staying in the service to get a 20 year pension, you may have had a miserable time. Even though the old system mathematically (barely) wins out over the new system at a 7% return, the main argument in favor of the new system is the enhanced quality of life and flexibility. The TSP matching can boost your TSP account by $15,000 in 4 years as a 8-12 year O-3. That’s $15,000 working for you in the market that you would not have under the old retirement system. The TSP is the best employer sponsored retirement account available today. 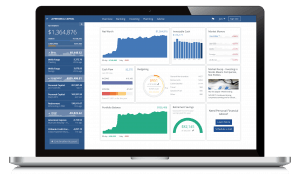 The expense ratios are 1/10th of what you would pay at Vanguard and there are no transaction or trading fees. The 5 investment funds offered are broadly diversified and cover the entire US stock market (C and S Fund), government bonds (G Fund), corporate bonds (F Fund), and most of the world (I Fund). If you don’t know how to pick an asset allocation, just start by moving your money into the latest Lifecycle Fund (L2050 as of 2016). The Lifecycle Fund start with more stocks and less bonds and slowly becomes more bond heavy as you approach retirement. Once your money is invested in a Lifecycle Fund, start educating yourself on asset allocations to maximize your returns. As for myself, I am invested in 90% stocks, 10% bonds and plan to stay with that portfolio for the next few years. There is a lot of free research and information out there regarding asset allocation, I recommend you start with the Bogleheads wiki. 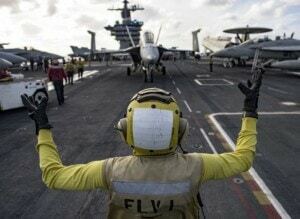 The new military retirement plan offers the intelligent military investor more flexibility with their career choices and investments, while sacrificing some of the vaunted military pension available at 20 years of service. Even if you are certain that you will stay in for 20 years, you may not be given that choice. Thousands of volunteers are involuntarily separated every year. You never know what the future might hold, whether it’s a better paying job on the outside or if you have to take care of an ill family member. Life holds many surprises and given that 80%+ of servicemembers don’t make it to 20 years, chances are you won’t. Rather than gamble that you will make it 20 years, take the safer option and join me in opting into the the new military retirement system. Let’s say the difference between the 2 is $12,000/yr. In 20 years, you’d have made an extra $240,000 in pension payments. Actually, in my calculations, I had the difference between Legacy and BRS being about $431,240 at age 70 (about 20 years post-retirement for me). But what happens to those extra $200,000 in TSP matched funds over 20 years? If invested fairly aggressively in stock index funds yielding 7%/yr (which one should totally do if one is getting a pension), it grows to $807,748! In essence, your extra matched funds from BRS will generate you $607,748 in passive returns over the same time period that a higher BRS pension would have made you $431,240. I can totally see how one could make it work in either BRS or Legacy. And honestly, most of us have probably committed to one or another at this point. An aggressive saver could certainly have a bigger nest egg at age 70 by investing the difference between the Legacy and BRS pension but that does take some time. Since I’ve opted for the BRS, I have started thinking more seriously about leaving the military after 10 years. I really think the Legacy pension system was hindering me from this before. So I already think the BRS was worth it to me, purely from a psychological standpoint. I don’t know what the future holds, whether I will live long enough to see the higher pension win out or whether I would regret my decision to lock myself in after 10 years. Just less room for regret all around with BRS. I’ve been all over the map on this but I’m glad I chose it (at 8 years in for me). Yeah, you’re right, if you continue to invest what you’re getting out of the TSP but don’t invest any of your pension, then the BRS is the clear winner. But what you should really be doing is investing that extra pension in the legacy plan (since it looks like you’re assuming that the reduced pension under BRS will be enough for whatever your plans are). This way you’re putting both options on a level playing field by leaving yourself the same pension every month and letting all differences be compared with a consistent rate of return applied. Once you add in that extra 10% of O-5 pay and invest it at the same rate of return as the 5% of O-3 to O-5 pay that you would get earlier, you should find that the legacy system catches up pretty quickly. Assuming 6% inflation adjusted rate of return, I’m calculating that the legacy wins out less than 20 years after retirement. On the other hand, if you don’t feel like you can spare any of your traditional pension to invest, then it doesn’t make sense that you would be considering the BRS with its smaller pension. It doesn’t feel like you adding the BRS pension in your calculation. You can make up a 20% reduction quite easily with a 5% match over the 20yrs of service. If it was a 20% reduction one time, yes. But it’s a 20% reduction every year for the rest of your life. It’s impossible to make that up with 5% matching, especially if you plan on investing your retirement money in the same way as your TSP, just a decade later. Look at the numbers. An early career officer can save over $200,000 more in matched funds and continuation pay bonus over a career with BRS. And that’s actual money. A pension is only as good as your life. If you died immediately after your military retirement (what rotten luck that would be! ), you could leave that money to your dependents. Yes, you can do the same with the pension but would have to shave a considerable amount off the pension payments to get the survivor’s benefit. And what could that $200,000+ grow into over 20 or 30 years before you start spending it down? It’s more than than the extra 20% in pension payments for sure. Could you invest the extra money you’d get in Legacy pension over 20 or 30 years and come out ahead? Yeah, you probably could. What it came down to for me is whether that extra BRS money (about $182,000 for me) is worth more to me than the extra 20% in Legacy pension. Especially with some uncertainty about my career goals, the answer for me was to opt for the BRS. Actually, you don’t even have to invest the pension; the advantage of the legacy pension ($10k/yr) will match the BRS $200k in 20 years. Investing it just makes the legacy system even more advantageous. But you’re right, that assumes you stay in for 20 and retire in (and live till) your 60s. If there’s any doubt about any of that, you start leaning towards the BRS. Good analysis here. I’m an AF Major who will hit 9 years this May so we’re in a very similar boat. I had determined to stay in the Legacy system…until I changed my mind and committed to BRS in mid-January. I’ve been second-guessing myself since that time. For my analysis, I figured up what a 5% match in my TSP account (also investing the continuation pay) would grow to by age 50, 60, 70, etc. At age 51, I would have about $182,000 more in my TSP account than if I had stayed in the Legacy system. The way I was thinking about it before, that $182,000 extra is really not a lot considering the higher lifetime pension, but then I started thinking, “What would happen if I let that grow in my TSP for another 20-30 years? This is why I decided to pull the trigger on the BRS. At age 60, I would have received an extra $180,000 in pension payments under Legacy but would have an extra $365,000 in my TSP. As I get older, the differences become even greater, in favor of the BRS, even to age 80, 90 and beyond. This assumes a stock-heavy portfolio (which I would likely maintain given the guaranteed income aspect of the pension) and leaving all funds in the TSP alone until RMDs start at age 70.5. One assumption I made is that I would spend my pension and save my TSP money for as long as possible. This probably skews the analysis towards the BRS. If one invested the difference in pension between the Legacy and BRS pension and let that grow at 7% for 20 years, the Legacy system would likely come out on top. But the way I figure it, one is more likely to incorporate the pension payments into their ordinary income rather than re-investing it so I treated the pension payments under both systems as non-invested money. Did I make the right decision? I don’t know! But it does make me feel better to hear of others like yourself that have come to similar decisions. I think I will stay in for 20 years but it may not be up to me. People sometimes do get forced out by the system or by personal circumstances. The regret of not having opted for BRS under that scenario would be much greater than the reward of having a little higher pension payment (especially if one has been disciplined enough to fund their own retirement). One does take some market risk, assuming that one can continue to make 7%/year on average. The market arguably has a higher risk than default on the pension payments but both are pretty low risk scenarios. I think I and most mid-career officers and enlisted ought to be able to make the BRS work for them but it is a bit of a leap of faith. This is a terrible system for reservists. As a Lieutenant I made $9,000 last year. 6% of that is $450. For the average Specialist in the reserves, that’s about $250 a year. Very little. I get that some active duty folks will argue that reservists have a second job and should have a second retirement, but in my 10 years (prior enlisted) I have found the situation is usually much more complex than that. Many lower enlisted work for companies that do not provided retirement or affordable benefits, and the military provides benefits they cannot receive elsewhere. I do not think this new plan does enough (or really much at all) for my Soldiers. Thanks for the brake down. I just convert to the BRS system to get the matching contribution. I am contributing 20% to my TSP as of right now because I am paying off some stuff. After than I will be maxing out my TSP. My question is will the govt. contribution count as well towards what I contributed. For example is I put 20% and the govt. put 5% which will equal 25% total contribution, I needed 25% to max my monthly contribution(should I put the 25% of my own contribution). I just do not want to go over the $18,500 at the end of the year. I also planning on maxing out my Roth IRA with Vanguard as well. I am doing my own allocation now after I read your book and a lot of research. Question: Should I rebalance or have to rebalance my portfolio every year. Or I just make the necessary changes when I see fit, or if the market take a dive like 2008. I really do hope this make sense. I wanted to get that extra 5% so I do not have to actually put in the full 25% to max out. P.S I know those are not the correct percentage I am just using it as an example. Thanks so much for posting this; as another AF Capt in apparently your same year group, I found it was a huge help as I was gathering my thoughts regarding the new BRS. Although it’s always admittedly easier to comment on someone else’s analysis than it is to do the analysis in the first place, I did want to share a few thoughts that I hope you and other officers in our situation may find useful. The first is, for the sake of a fair comparison, did you consider applying a rate of return to the retirement income received before the age of 60 as well? In my situation, not only will my TSP be earning interest, but probably at least the first decade of pension will be invested as well as I move into a second career. Your analysis seems to assume that none of the pension would be saved for retirement, but the interest earned by that difference in pension could be a real deal-breaker for those considering the BRS but who plan on working until a normal retirement age, as I think it would show an even stronger financial benefit of the legacy high 3 system in your 2nd and 3rd scenarios. The second is that I don’t think the statistics show that you and I have only a 20% chance of making O-5. The reason is that more than half of the AF officers who commissioned with us have left the service already, according to the graph above. Out of those of us who are left at the 7-8 year point, it appears that more than half of us will stay until 20, if I’m reading the same graph correctly. But I believe that a more fundamentally correct way to look at the our future career is not what our chances of getting kicked out are, but how sure we are we will stay in from a personal perspective. The promotion rates to O-4 and O-5 are 80% and 70%, respectively, and as another reader pointed out, even those who miss O-5 are late enough in their career that they often get to complete 20 years. Yes, there’s always RIFs and bad luck, but any above average officer (and we should ask our superiors to be honest about where we stand) is much more likely to leave voluntarily than not. Instead of this being a simple numbers game, the chances of staying in until 20 years really comes down to personal and family commitments, and the unpredictable fate that affects them. I’m actually curious about your personal calculus in this area, since your blog says you are aiming for financial independence by age 40. If I that was my goal, unless I was on the verge of leaving the AF to focus on my start up or my real estate empire, it seems that the biggest cash stream I would be aiming for would be the old-fashioned military pension. In other words, if early financial independence was my #1 priority, I would either be leaving the AF right now or I would have already decided to stay in until 20, and the flexibility that the BRS offers would not be worth the price of my lost pension. Even as someone who doesn’t mind (yet) the idea of working until my 50s or 60s, the math is making me lean toward the legacy High 3 system. As you’ve stated, the biggest benefit that BRS offers is the flexibility, but as a fence sitter, it seems that I would lose far more in my pension if I opted in and stayed for 20 than I would lose form the missed chance of govt contributions if I didn’t opt-in but left before 20 (especially since I plan on investing some of my pension as well). I would have to be at least 4 times as certain that I would not stay in for a full career before I would risk 10% of my O-5 pay for the rest of my life in order to gain 5% of my O-3 and O-4 in govt contributions for the next decade. This “argument” I’ve just made above is full of “holes” based on how one values the variables of this New/Old decision but that’s the whole point, either decision provides financial benefit; whichever is greater to you will be easy to see 30-40 years from now but today is when you make that decision. I guarantee *almost* every person who gets out (either by choice or not) before 20 years will wish they’d gone to the New system. So where are you going to hedge your bets?! I’m picking up what you put down MJ- one’s values are really the deciding factor in this decision. Overall I think you end up with more money with the old system, but at the expense of flexibility. As the birth of my first child approaches I’ve been thinking more and more about which option I’ll choose. Originally I was totally against the BRS, but I can certainly see things continuing to change over the next 12 years in a manner which would push me out of the service. I like your use of “hedge”- thats exactly what the BRS is, a Hedge against leaving the service earlier than expected. Good luck with your decision. well said, all the comments up until this totally missed what Spencer was getting at. It being a few months into 2018, did you opt-in already? Same, opted in Jan 5, no match in January but I see it on my February LES. There won’t be any backpay clause for those that opt in. I was active Air Force for 6, now in the Reserves (as a TR, O-3). I literally can’t find any information on how the new system will affect reservists since we don’t participate in the TSP… any help/resources? Thx in advance. Why don’t you participate in TSP? Reservists have the option to. If you are not, that is not due to the lack of the option. Spence, out of curiosity have you taken the fact that if you make it to O-4 (in the USCG that’s around the ten year mark), and ride that out to the 15 year mark before being looked at for O-5 you’re essentially tenured? The Coast Guard will look at O-4’s promotable to O-5 and if you get passed over, you get a second look, and if you get passed over a second time, they’ll allow you to stay in to receive the O-4 retirement package. Not sure if you’ve taken that into your calculus but if you believe that you have a decent shot at making O-4, then I’d stay with the traditional pension package vice the blended retirement system they’re offering in 2018. I believe that rule is essentially the same across the services, which is why the most important rank to achieve is that O-4 pay grade in terms of job/financial security. There’s all sorts of weird rules that come into play regarding the pension. We have a prior enlisted O-3 that did not get picked up for O-4 on the second look and because he’s at 18 years of service, he’s allowed to stay in until he reaches 20 years of service to attain his retirement pension. Also, if the off chance that you do not get promoted to O-4, you’ll receive a severance package in the ballpark of ~$60,000 for your years in service at that time ($80,000 before taxes are levied). That’s only for those being looked at for promotion to O-4 and do not make the cut as far as I know. I’m not sure that the measly match you’d receive for the two years you’d be opted in before being looked at for promotion is worth the reduction in retirement benefits but that’s my $0.02. If they would backpay if you opted in, and match all of the contributions you’ve made since you’ve been in, that’s a different story, but without any backpay provisions regarding the TSP match, it does not have me sold on it from our perspectives – already being in over 8 years. New recruits, definitely. Curious to know if you took those factors into account and are still opting in to the blended system? Great point Jason. As an ’09 Coastie Grad this is the biggest retention tool we have i’d say. I wonder if its going to go away… hopefully we get grandfathered in first! For those opting into this new military retirement system, will the government match into your Roth TSP or do you have to have a traditional TSP in order to receive those benefits? I keep going back and forth on which TSP account is best and currently am sticking with the Roth TSP but want to ensure that when this new system takes effect it will remain the best option. Also, with current contribution limits set to $18,000, the 5% match would be on top of that, correct? “Employer contributions” do NOT count toward individual’s contribution limits… much in the same way reinvested dividends/capital gains don’t either. If anything this article confirmed that stay with the old system is the best choice. Unless you get out before 20 years…as 80% of the force does. Even for Air Force officers (the highest retention rate) only 40% make it to 20 years. I prefer the flexibility of the new plan for the reasons listened above. Even if I make it to 20, I’ll still get a reduced pension. The flexibility is worth it to me “sacrificing” an unlikely to receive 20% of my pension. I’ve ran the numbers myself and for people who already max out their TSP, an extra 5% in base pay now is very little incentive to miss out on an extra 20% of base pay later. I think opportunities to stay in for at least 20 years are only going to get better (http://www.defense.gov/News/News-Releases/News-Release-View/Article/795361/secretary-of-defense-ash-carter-announces-additional-force-of-the-future-initia). Also, the recent cuts means more opportunities to fill those positions that have statistically become easier to fill. Lastly, the DoD match will be invested into the traditional TSP which means 100% taxation in retirement – including all the gains. The “Old” system will only tax you on your retirement pay (the extra 20% mentioned above) which you can spend as you see fit or invest in a Roth IRA for tax free gains that you can pass to your heirs. I agree- tough nut to crack for someone at the 8 year mark. If you plan on hitting just 11.9 years, sure, new system. For the Coast Guard at least, the 12 year bonus comes with a retention-contract. That takes you to 16… While you might be a little better of with an additional 5% match, staying in for the full 20 is starting to look more and more attractive. My read is that unless you know for sure you will not make 20, by choosing the BRS you are buying 5% downside risk insurance for a very few years at the cost of 10% of your pension- for life. yikes.